Hohner Melodica Student 32 (Blue) This Hohner Melodica provides the maximum range of emotion and ex.. 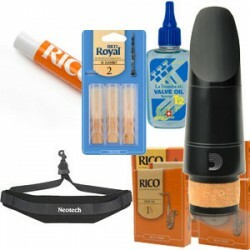 If you play the Alto Saxophone and are looking for premium quality reeds, Rico Royal Alto Sax Reed..
Rico Royal Bb Clarinet Reeds The Rico Royal reed combines the features of the traditional Ric.. If you play the Alto Saxophone and are looking for premium quality reeds, Rico Royal Alto Sax Re..
Rico Royal Alto Sax Reeds The Rico Royal reed combines the features of the traditional Rico c.. The Buzzy Band in Fairyland Content Created by Michael Walter The Clark Tin whistle has been the ..